Good news here! 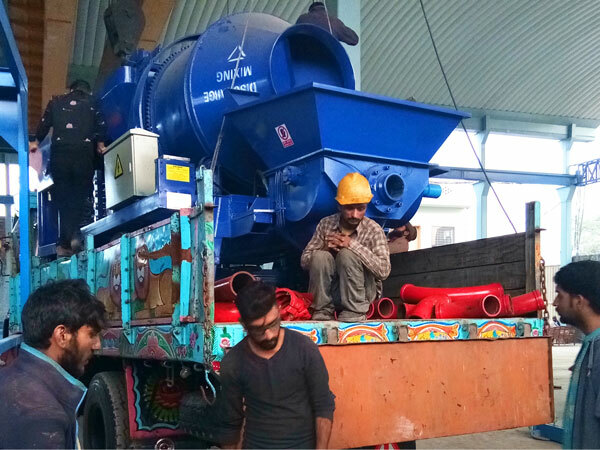 The first diesel concrete pump mixer has been sold since the establishment of Pakistan branch. 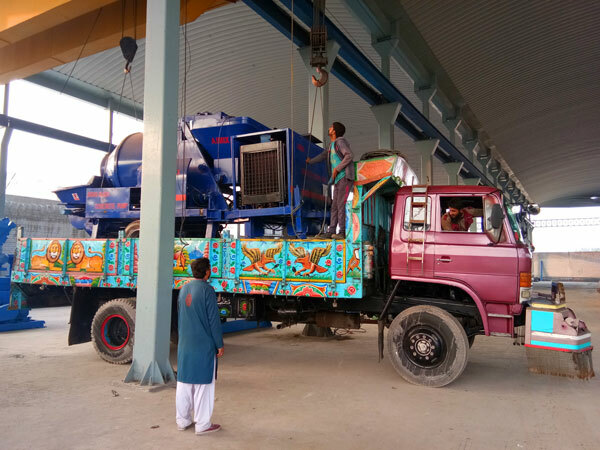 As you can see from the picture, our workers were loading the mixer pump, and destination is a city of western Pakistan, if you are interested in our pump machine, you can contact us, and we will take you to this city, let you see the real working site of diesel concrete mixer pump. 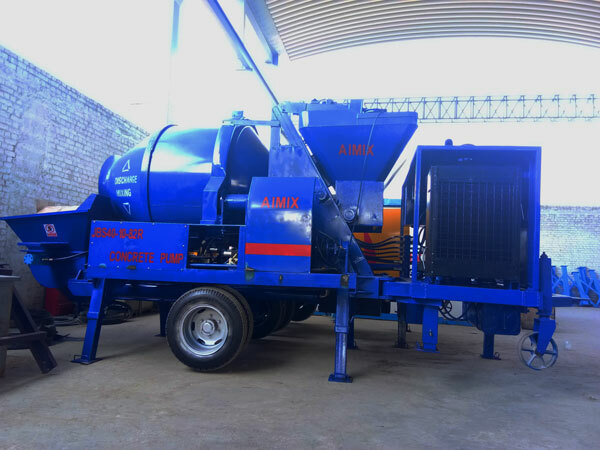 Our diesel concrete pump mixer adopts Svalve, can achieve efficient pumping and mixing. It combines concrete mixing and concrete pumping together, can save time and cost. It is very energy-saving, much more suitable for areas lacking electricity or electric power is less. If you don’t know how to choose a right type diesel pump, we will provide you with perfect construction scheme and help you analyze your project needs, and select a right type for you. We can take you visit our factory and office, let you see our comprehensive strength, and also we will do good after-sales service for you. 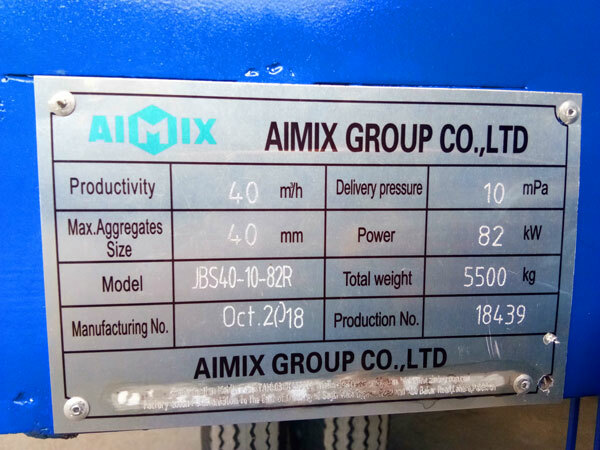 If you are looking for a diesel concrete mixer with pump, we AIMIX GROUP will be your ideal choice, contact us for best price now! China Office address: 9th floor, building No.6 of China central E-commerce port, Zhengzhou, Henan, China.